“A flash of shame” - as Perambulator put it in last week’s Cornishman, doubtless quoting some London newsman - “has come to the cheek of all West-country folk”. And why? 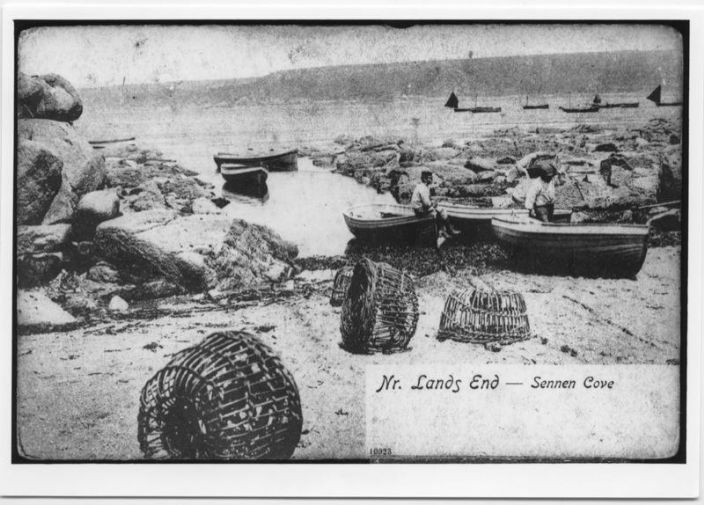 “They have heard it suggested that the hardy fishermen of the quaint little village near Land’s-end” (that’s Sennen to you and I, Madam) “familiar to many a tourist, have refused, positively and decisively, to go the aid of their distressed fellow-creatures”. Of course, there is no truth in this distressing accusation. 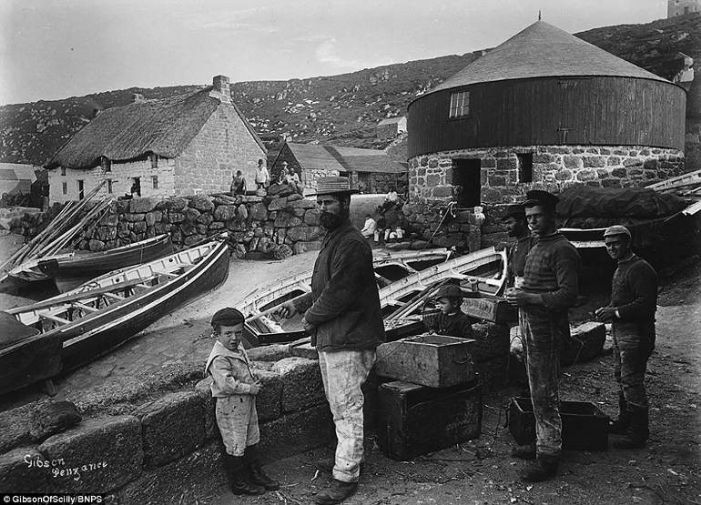 These men brave dangers every day, merely in the course of their trade, as they place and retrieve their crab-pots – dangers which lifeboatmen from a more sheltered port might indeed fear to face. The story is all gammon, got up by the sort of journalist who favours sensation over the solid truth. Yes, the men saw the distress lights, back on the 30th of September. A sailing vessel near the Longships, calling for help. And yes, it is true that the Sennen crew declined to put out when so requested. Why? Because a large steamer was heading that way, and could doubtless give any help necessary. And although for some reason no such helpful act of succour came to pass, by the time this was apparent the wind had taken the sailing craft past the Brissons and on up the Channel. 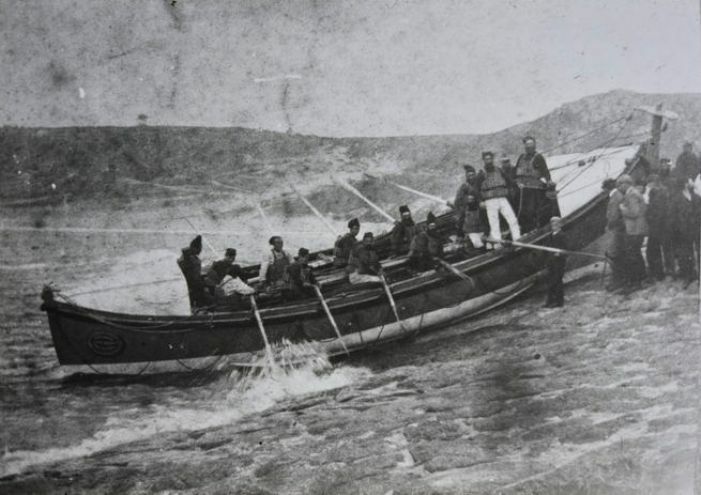 Today an enquiry has been held, set up by the Royal National Lifeboat Institution itself, and chaired by its Western chief Mr Beddoes at the Church of England Mission Room. The newspapers had already been invited, and first thing this morning – with the villagers gathering, and reporters on their way - a sudden announcement was made to the effect that this would be a “private enquiry”: no press, no public. This caused some disquiet. Mr Beddoes was obliged to have recourse to the telegraph, and make direct communication with his superiors in London. Local gentlemen did their best to explain to Mr Beddoes that any attempt at a “private enquiry” would be “an absolute farce”, as the Sennen men would simply refuse to answer questions without the support of their friends. But Mr Beddoes insisted that he had no power to alter the arrangements until the reply came through, and those men who were already installed in the Mission Room had to submit to being turned out while their accusers spoke. And then the “crowd of fishermen, loafers and casual visitors” took matters into their own hands. Their “smouldering discontent broke out”. One “burly, red-bearded fisherman” emerged as the spokesman, although his speech was so “rapid” that only natives of the place could follow his drift – but he was cheered, and it became quite clear that the men demanded that the enquiry be public, whether London willed it or no. Commander Beddoes, frankly, “lost his head”. The enquiry had now become, de facto as the lawyers say, public. All and sundry pressed their way in to hear the closing stages of the arguments. But still the reporters – who had already been standing in the cold for two hours, waiting for a telegram that never arrived - were kept out. “Will the numberless Tite Barnacles who are employed in the numberless Circumlocution Officers which still swarm in this red-tape-bound land of ours ever realise that they are not exactly match for the Press?” asks the Cornish Telegraph, making full use of his enthusiasm for Charles Dickens? What was your question, Madam? The result of the hearing? Well, the charge of cowardice was found to be baseless, but in the final report it appears that there may be some comment about insubordination. And frankly, after what I have seen today, I am far from surprised.